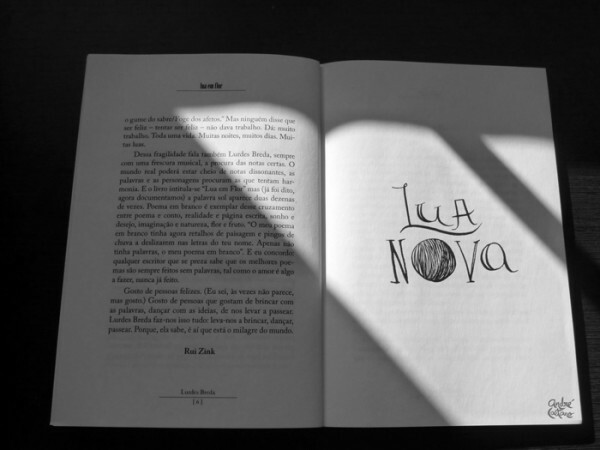 I was invited by Lurdes Breda to do some hand lettering for her new book, Lua em Flor, published by Edições Vieira da Silva, in May 2012. 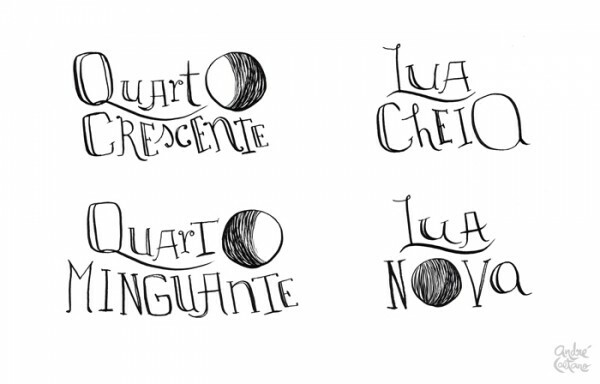 One title for each chapter, representing one of the four phases of the moon. 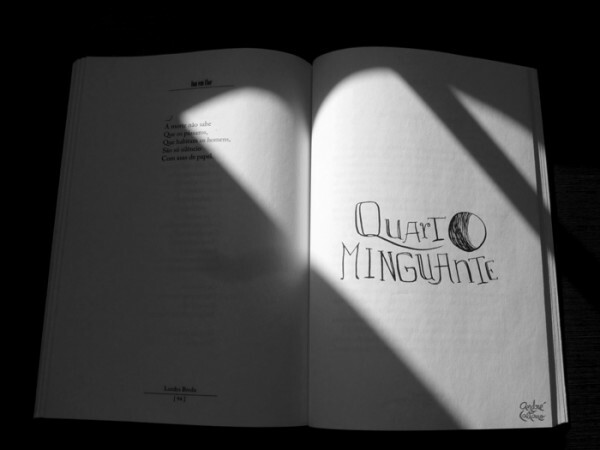 It was a mix of calligraphy but also some illustration of the moon itself. 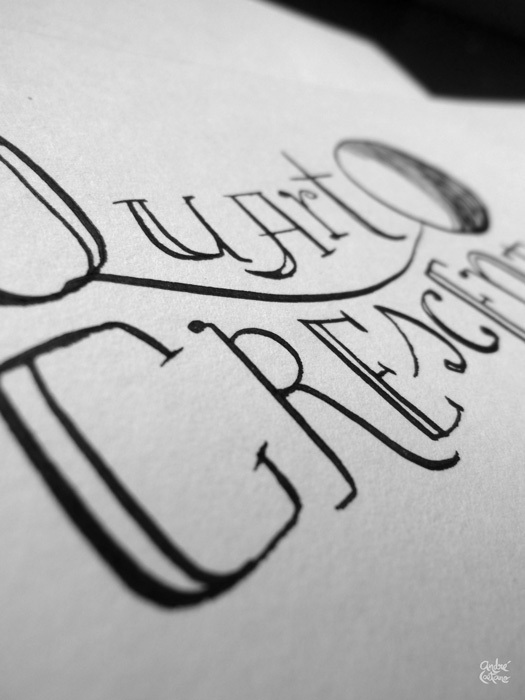 Each title was made with a crowquil pen, and indian ink, by hand. After beiing scanned, I’ve composed and rearranged it digitally, picking up some letters from other pages, making a collage of letters to create the final result.